Bath Film Festival Director, Holly Tarquini is the creator of F-Rated, the major campaign to change gender inequality in film that has recently been adopted by IMDB. We discuss the origins of F-Rated, how it works in practice and why and how it differs from the Bechdel Test. 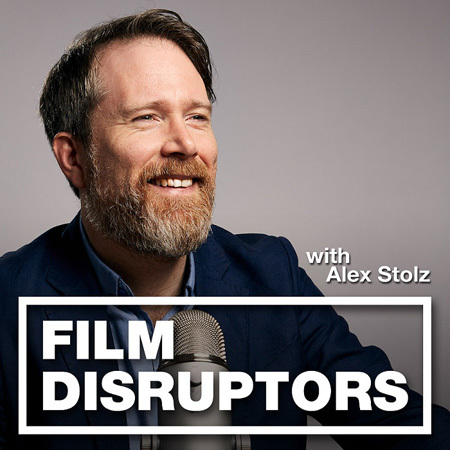 Holly also talks about the breakthrough IMDB deal, why representation on screen still matters and how F-Rated films are more popular with IMDB users. Holly Tarquini began her career in television, spending over a decade in London as an independent Producer/Director for documentaries and factual entertainment programmes. After a sojourn in India, setting up and running a guest-house for yoga students, she moved to the West Country. The multi-tasking skills learned in broadcast media combined with haggling and negotiation talents honed in India proved a winning combination for running a film festival and since 2011 she has been increasing the profile of Bath Film Festival and helping to achieve the organisation’s aim of becoming an ‘outstanding film festival’. In 2014, Holly founded the F-Rating, a new film rating highlighting films made by and featuring women. The F-Rating has been adopted by numerous cinemas and film festivals in the UK and is now featured on the most popular film website in the world, the IMDb.